Let’s-Live 1-Day Human Lie Detection Course Helps You Uncover the Truths Behind the Lies! The 1-day long course in Lie Detection aims to lay a solid foundation in the study of deception, language precision, and body language. Designed to cater to the needs of the modern-day professional so that they can successfully employ contemporary methods and techniques in their line of work. The course will also help them in their various personal and social relationships. Let’s-Live Master 1 Lie Detection course empowers you to correctly spot lies, whether in office, home, or any other social setting. 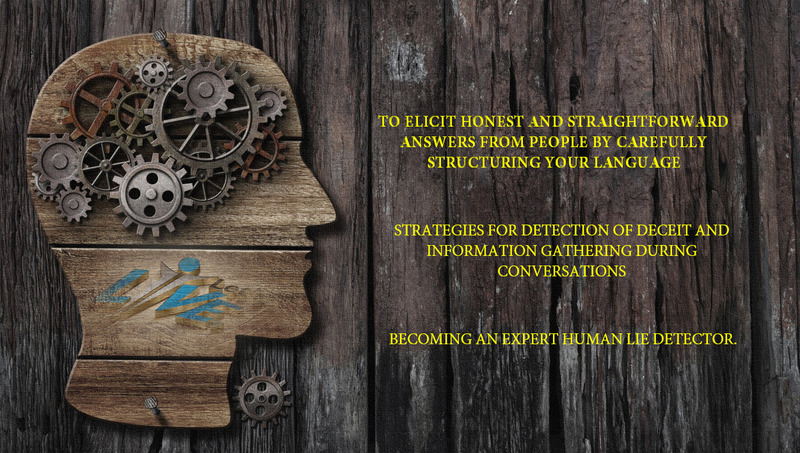 Drawing from their rich repository of knowledge and vast experience in Lie Detection, our expert Francois Janse van Rensburg offer valuable insight into different aspects of this evolving discipline to enable you to tell the lies from the truths. The reasons why people lie. Countering lies at the workplace, home, or any other place. To elicit honest and straightforward answers from people by carefully structuring your language. To understand other people’s thoughts and true beliefs. Through the day-long course, we try to introduce you to a comprehensive range of Lie Detection techniques to give you a strong base to become an expert in deception leakage and lie detection. 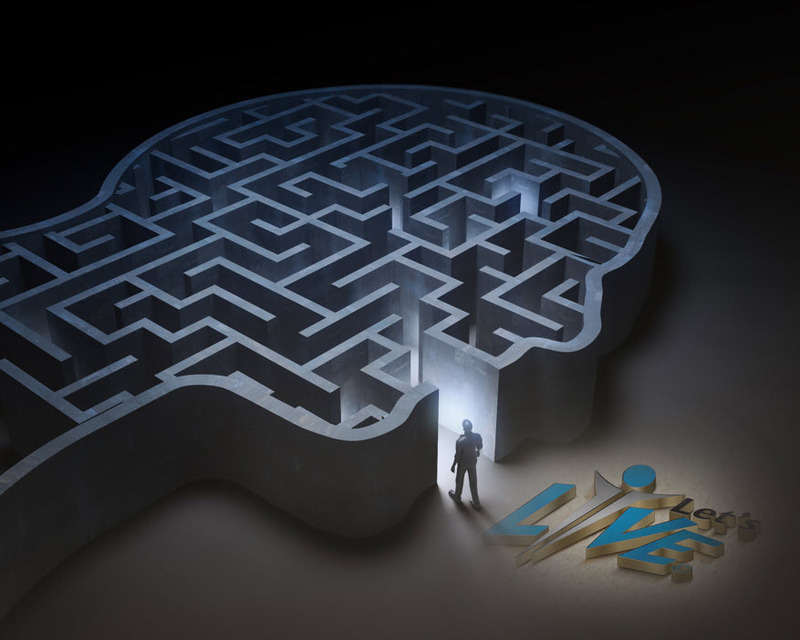 Mind Games – There are many ways to find out if the person before you is honest or not. 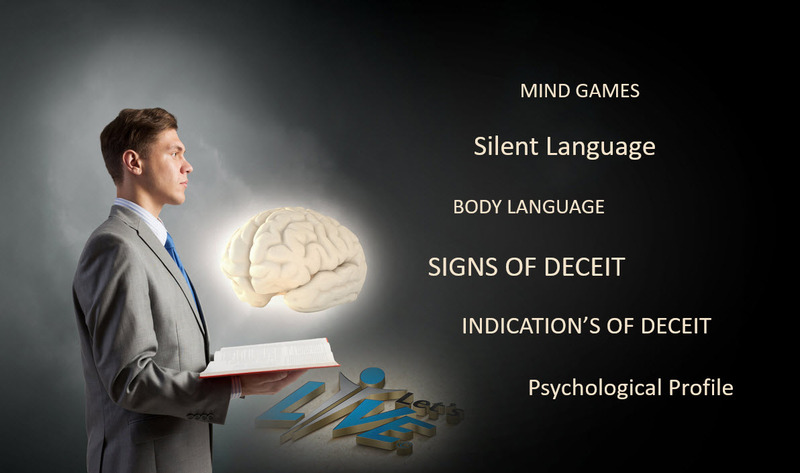 Through the topic ‘Mind Games’, our fully-qualified instructors teach you effective techniques to correctly recognize deception. Body Language – Gestures and body postures can provide vital clues about an individual’s honesty. Whether they avoid eye contact, or look defiantly at you for an extended period of time, or are visibly hesitant with their replies, a lie usually becomes manifested in a person’s body language. We will help you learn how to identify these expressions of guilt and wrongdoing in others. Silent Language – Silence is often the most effective tool to detect a lie. By holding yourself back, and not communicating with the other person, you give them the impression that their lie hasn’t fooled you. They try to embellish their lie and can give themselves away in the process. Silence, as you will discover during the program, is a powerful lie-detection tool. Signs of Deceit – This module helps you utilize your knowledge of body language, mind games, and silent language to detect deception. You will learn strategies to recognize both the obvious and not-so-obvious signs of deceit. Indication/s of Deceit – Deception is not hard to spot if you are prepared to look for it. With a little help from us, you should be able to see any indications of deceit in a person’s behaviour. Psychological Profile – What is the psychology of lying and deception? You will find out the answer to this question and more through this module. Liars and people of doubtful credentials have their own psychological characteristics which our much-experienced instructors will explain in detail during the course. Essential tricks of Lie Detection. Becoming an expert human Lie Detector. Strategies for detection of deceit and information gathering during conversations. Download our information sheet to learn more about Let’s-Live Lie Detection programs.